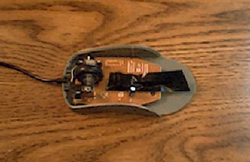 Do you have an Optical Scroll Mouse which seems possessed? Does the Cursor just take off all by itself, wiggling and zig-zagging over the page? Do you have a hard time trying to control the Cursor as you click on buttons or select text? The solution is surprisingly simple! Find the biggest Hammer and, no, just kidding! Save your money and follow this tutorial. 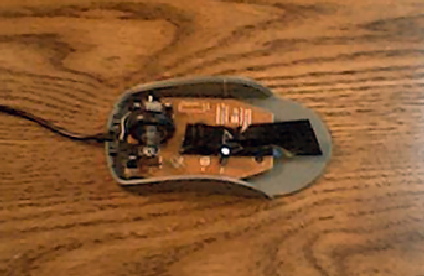 This applies to wired and wireless optical mice. 1. Sporadic/erratic behavior, often caused by one of two things. 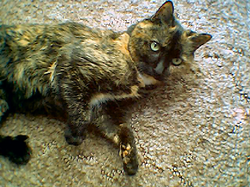 Cat hair and synthetic carpet fiber. Both lightweight, they can easily disperse or interrupt the LED's light path and confuse the sensor. 2. 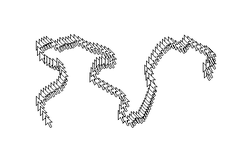 Locate the place where these fibers most often get caught up. 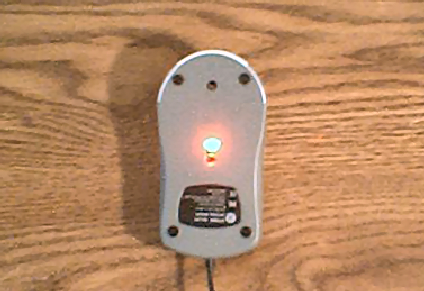 The underside of the Mouse at the optical window. You can try to blow the fibers out or pick them out with a pair of tweezers. You cannot stop fibers from getting caught here. If you were to apply transparent tape over this window, it would blur the LED's view and reduce its functionality. Besides, the static electricity and adhesive would attract and hold more fibers. 3. Locate the biggest culprit. 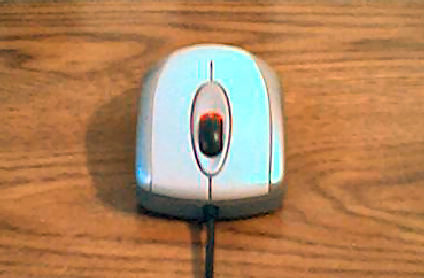 The scroll wheel! There is a wide enough opening around the wheel to allow plenty of fibers to get pulled through as the wheel is turned. Once that fiber reaches the internal eye, it gets caught between the LED and the refracting lens. 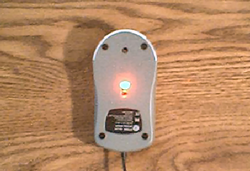 This splits the single beam of light into multiple beams which confuse the sensor and sends the cursor into a wild dance. 4. 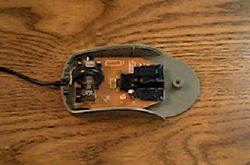 Turn off your computer and unplug the Mouse. 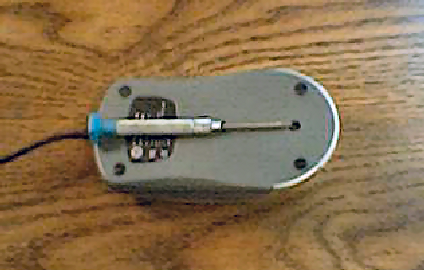 Flip the Mouse over and, using a small Jeweler's-type Phillips head screw driver, remove the screw holding the two halves together. Gently separate the two halves, careful not to break off the alignment tabs or knock the wheel off of its axis. 5. 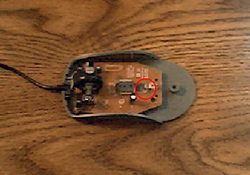 Inside, you will see the LED mounted on the circuit board pointing towards the triangular refracting lens (circled in red). 6. Using a piece of electrical tape works great for removing the fibers from around and between the LED and Lens. Take care not to get any adhesive on either of these places. You can use compressed air or a pair of tweezers too. 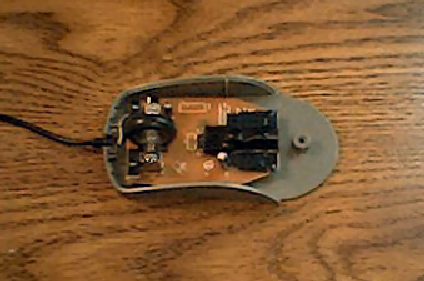 While you're in there, you may as well remove all the fibers from the rest of the board and wheel assembly. 7. Cut three pieces of electrical tape and apply them as shown, with one long piece front to back and two shorter pieces side to side. This effectively shields the LED and blocks any fibers from causing future interference. The LED and chip do not produce enough heat to require ventilation. So, covering them is fine. 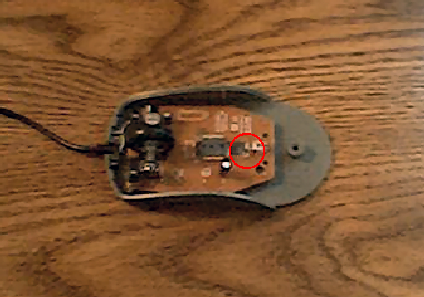 Once you have shielded the LED, reassemble the Mouse. 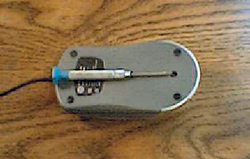 * This procedure works just as well on a Wireless Mouse. * Do not stick tape between the LED and the refracting lens, adhesive will cloud the surfaces & attract dust. 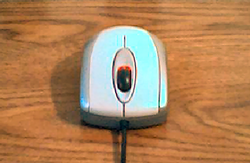 * Use a Lint Roller to keep your Mouse Pad clean.